Stella Gayle Schroeder was born on May 5, 2012 at 1:24 PM at a gestational age of 37 weeks and 1 day. She tipped the scales at 6lb 10.8 oz. Stella was my third beautiful daughter. Even after premature labor starting at 21 weeks, she held on and I carried her the longest out of my three girls. She was also my healthiest baby. She was not premature, nor was she jaundiced like our previous two girls. 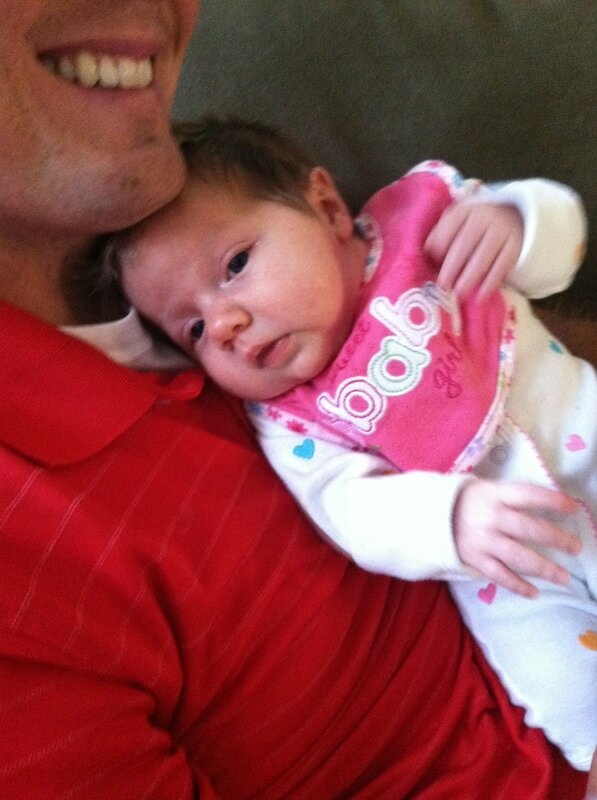 My husband, Ryan, and I got to bring her home three days after she was born. Stella was a very happy and healthy baby who ate like a champ. Since everything was going well, I decided Stella and I would make a trip to visit my friend in Norfolk, VA while my other two girls were visiting their grandparents in NE. The morning of June 6, 2012, Stella and I got up, packed up the car, and hit the road. I want to add that she was perfectly healthy. She ate normal the previous day and for her morning feeding. Like clockwork, Stella started fussing 4 hours into the trip. I pulled over changed her and tried to feed her. She was not eating well and kept trying to fall back to sleep. Somehow, I managed to get 2 oz in her. I didn't think anything of it because I figured she was tired from being in the car for so long. Four hours later, she started fussing again. I stopped in Richmond, VA and changed her and although I did not recognize it then, I now realize she was making the grunting or whimpering noise, a symptom of GBS. I tried to feed her but she would not eat anything. I called my husband and told him I thought something was wrong with Stella. He jumped on the internet checking to see if long car trips could hurt a baby and found no reason for concern. We both decided I would finish the trip, and when I got to my friend's house I would give Stella tummy time so she can really wake up and get angry. I got to my friend's house and asked her to give Stella tummy time so I could go up and pump. When I came down my friend told me that Stella just kept trying to fall asleep. I changed her and I remember thinking she felt cold but brushed it off because a window was open. After I changed Stella, I told my friend we needed to take Stella to the hospital. We went to the closest hospital but the ER was packed full of people. The nurse stated, "Give me your name and we'll get to you as soon as possible." This was, of course, unacceptable! My friend and I decided to find a children's hospital IMMEDIATELY. We left the regular hospital and arrived at the children's hospital within a few minutes. A nurse at the children's hospital immediately took her O2 and stated, "Follow me." The nurse told me that Stella's O2 was very low. Within a minute from when we arrived in the room, there were several doctors, nurses, and x-ray techs working on my baby girl. One of the doctors stated Stella is dehydrated, which could be the cause of her symptoms. I explained to the doctor that she would hardly eat on the trip. The next thing I knew, they were performing CPR on her. My friend called my husband and told him that he needs to come to VA ASAP and Stella was very sick. The doctors got Stella stabilized, vented her, and whisked her to the PICU department. About an hour later, the PICU doctor came in to tell me that they had to sedate Stella because she kept trying to pull out the vent. I stayed with her that night, and in the early morning, the nurse told me that Stella's blood gases were improving and bacteria were starting to grow from her blood culture. My husband arrived that morning, and we had to step out of the room because the wanted to do an ultrasound on her brain. I went to take a shower, and when I got out of the shower, my brother told me that Stella had a seizure. I ran to the PICU department and the nurse told me she was expecting it. A few minutes later, the doctor pulled my husband and I aside to tell us Stella is stable enough to take a CT scan. The ultrasound images had revealed widespread dense parts of her brain and they want to see if it was brain damage, blood, or something else. When we meet the neurologist to discuss the results, he could barely get out his words. But he said, "Stella is as sick as sick can get. If you want or need to call family, now is the time to do it." Another doctor met with us earlier and told us that Stella had late-onset Group B Strep. Ryan and I called our parents and told them to get our other two daughters, Emma and Nora, to VA immediately. The next morning, another neurologist and the head of the PICU department met with Ryan, Stella's nurse, the life coach, and myself. During this meeting, we were informed that they have done all they can do and the infection hit her so hard and so fast it caused severe brain damage, and we needed to make the decision of what would be best for Stella. Shortly after our family arrived at the hospital and said their final good-byes to our baby girl, we took her off life support. 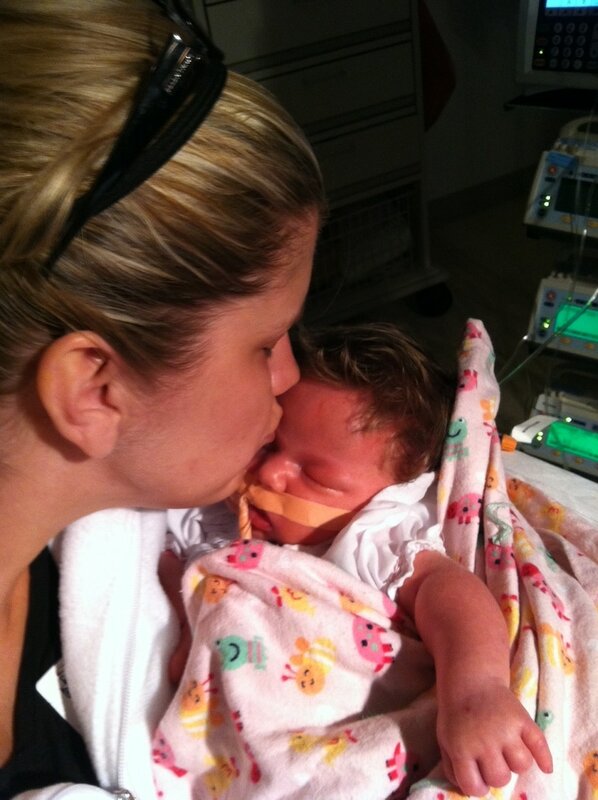 Stella became an angel at 4:24 PM on June 8, 2012 in my arms. I did test positive for GBS, but my OB was not worried about it because Stella was breech and I needed to have a C-section and I would receive the antibiotics.